MEN The Show - How It Works! The Ultimate Ladies Night Experience! Whether you’re coming to see our show at in Chicago or Tampa, you’re sure to have the best ladies night ever! Our revue shows consist of 3-5 guys on any given night. Each of our strippers will do a stage performance, during which (for a small fee) you, your friends or your guest of honor can come on stage to sit in our “hot seat” to receive a lap dance. Once each dancer has finished his performance, he will walk through the crowd to continue interacting with all the ladies and give lap dances to any interested parties. Some venues offer other games/activities during the show (raffles, “Strip The Stripper”, etc). Please check each venue’s profile page to see if any of these are offered at the show you would like to attend. 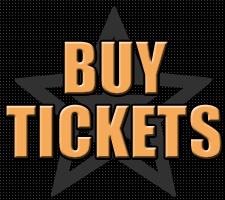 To purchase tickets to one of our shows, check out Our Tickets. Select the type of ticket you would like and any add-on packages (not available in all locations), enter your credit card and billing information, submit the order and you’re all set! We will send you an email confirmation with your ticketing info as a receipt for your records. We do not send out hard copies of the tickets, so just give your name at the door to be marked off our lists. Be sure to check out the individual venue pages for open bar packages, food specials or other additions specific to that venue to add to your night!